Instagram is a very powerful platform for business storytelling as it offers a direct way to communicate with an audience effectively. 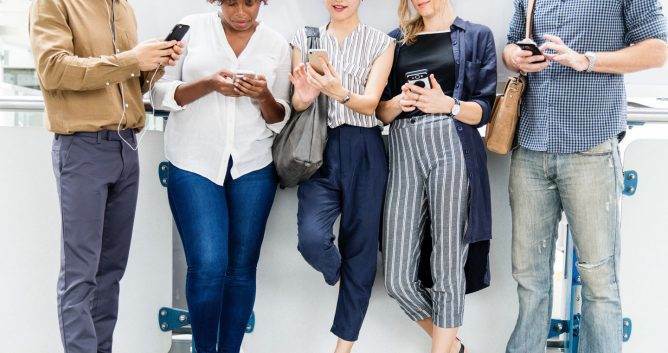 Building your brand through such a platform brings great possibilities as it allows you to connect with millions of users from all around the world. Before you decide what exactly you will start posting on your Instagram page, you should have a clear idea in mind about all the things you wish to achieve. For example, if you wish to attract a bigger following, you should try staying as active as possible on your page and if you wish to have a slower rise of fame but would like more ‘quality’ followers, you should invest more time into your posts. Knowing which goals you would like to reach will help you use your time and resources accordingly and plan your content strategy in order to make use of what you have. This way you will be able to get a better understanding of what content you should post and how active you should be in order to achieve your goals. One of the ways in which having clear goals will help your company grow is allowing you to understand your target audience. Depending on the products and services you provide your customers with, you should know exactly who they are made for. Knowing your target audience will allow you to create better content which will increase your engagement. An engaged audience will also help attract more people with the same interests without much effort from your side. 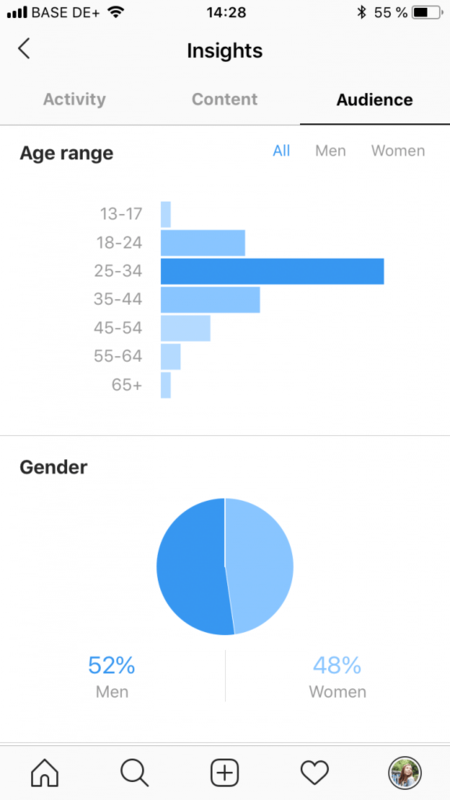 The best way to find out what your target audience is would be to use a cool feature which comes for free on the Instagram app. This is called ‘Insights’ and can give you valuable information about their gender, age and location. People love a good background story from brands and influencers they follow. Anything that will show them your passion for what you do or the reason why you started your brand will be a good place to start. In general, people who use social media platforms like to see pictures and videos which will make them laugh or make them feel certain emotions towards the creator of the video or the person starring in it. 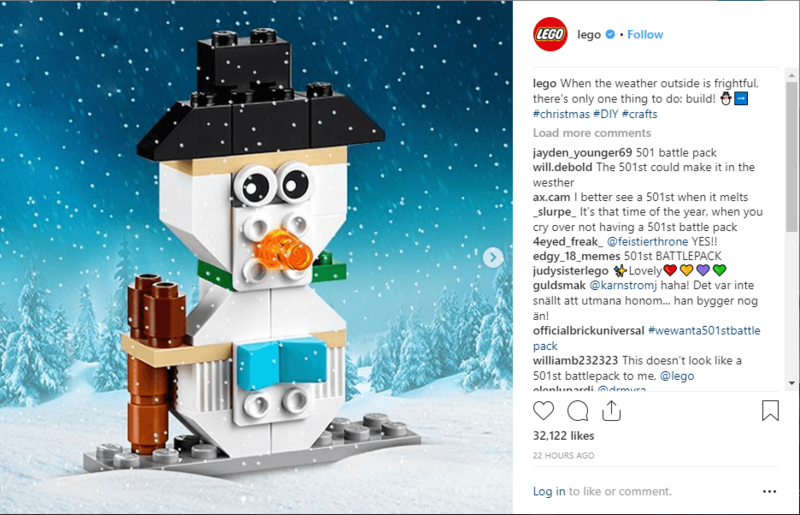 Take this Lego Instagram post for example, where the company has cleverly used its Lego blocks to create an image which will appeal to fans of all ages. Not only are they presenting them with something visually appealing but they are also giving them a great project to work on with their families while the weather is bad. 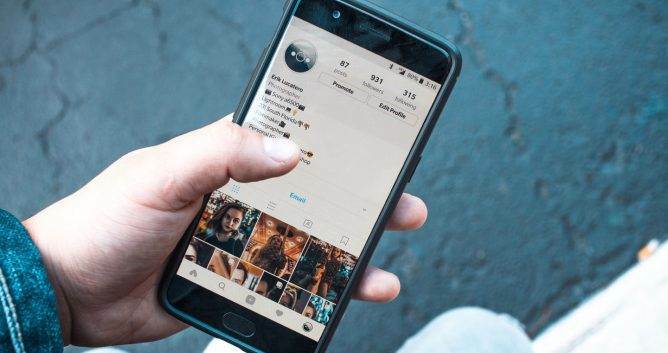 ‘When you talk about the story around the creation of your brand, make sure to focus on anything important which would motivate your potential followers to like and comment on your post’, advises Ethan Dunwill, content editor for HotEssayService. A big part of making it on Instagram is posting pictures which will intrigue your followers and make them want to come back to your page for more. Working with a photographer who has an eye for capturing pictures which will benefit your Instagram account and therefore your brand by attracting the right audience, will work greatly in your favor. If you’re just starting out with your Instagram account you really shouldn’t go all out just to hire a professional photographer. There are plenty of amateur photographers online who are truly talented and who also have managed to build a large following on their own social media accounts, so make sure you think before you hire the first professional that you come across as they can also be rather pricey. Underneath all of the posts you make on your Instagram account, you should include a description which will let the person viewing it understand what the picture is all about. In general, these descriptions can be as short or long as you like, but you should make sure that they are grammatically correct and easy for the reader to understand. You can use different types of editing tools such as Grammarly and Hemmingway Editor in case you wish to give editing a go. You can also give a professional editing service such as SupremeDissertations and RewardedEssays a chance and see how professionals do it before you attempt to do it on your own. On top of these, you should make sure that you use the right hashtags which will help your post be noticed by every user who might be interested in your niche. Hashtags and post descriptions can also always be localized in order to attract a certain audience from a different country. Source: Lorna Jane’s Instagram account. 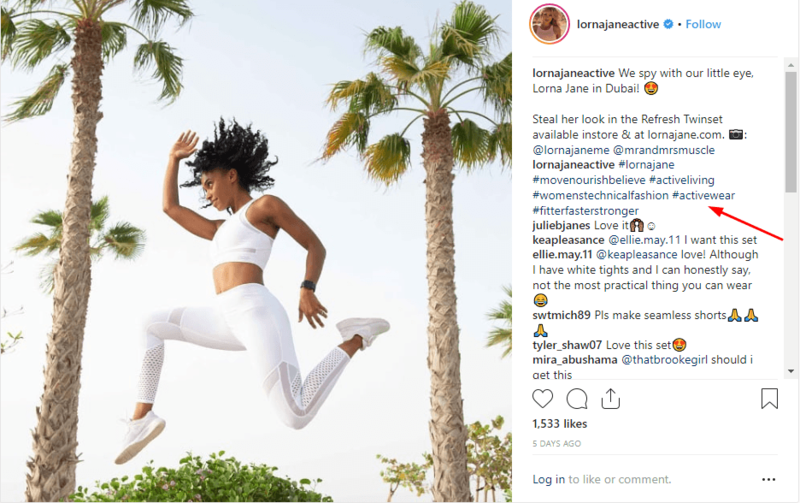 This Instagram post by Lorna Jane is a great example for anyone looking to get a better understanding of the use of hashtags. You can see how the account cleverly uses them in a relevant way. This way, the picture will be visible to people searching for those terms. In our day and time, influencers are adored and followed by people of all ages in the online communities. Social media platforms are full of users who sport from thousands to millions of followers. These people can prove to be very beneficial for a business storytelling as they can help promote products and services without a lot of effort from the companies’ side. 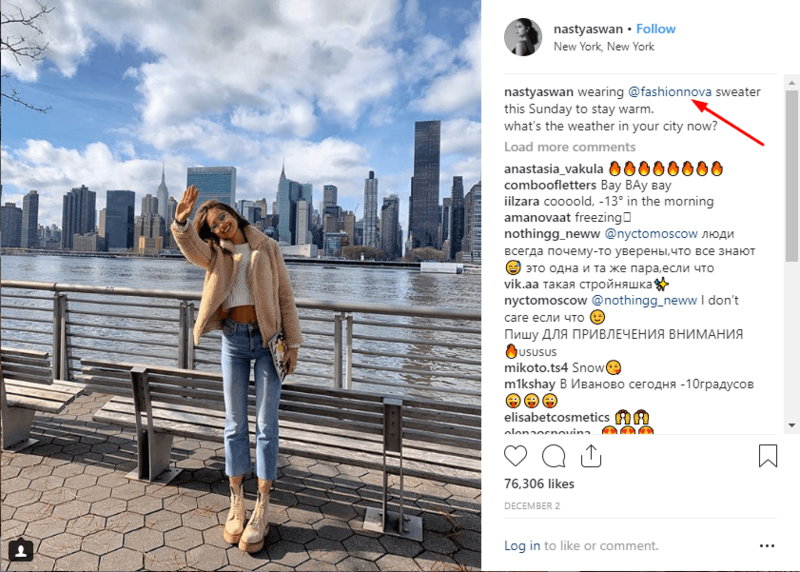 In most cases, the brand will provide the influencers with anything from free products, to a discount code or even a check for them and their followers in order for the person to advertise their product on their page. Influencers have loyal followers who will follow their advice before purchasing anything new. So, your product on their page will help you get a lot of popularity very quickly. Source Nastya Swan’s Instagram account. In this post you can very clearly see that the girl is modeling the clothes for Fashion Nova. This brand actually has a very large number of influencers they work with and offers these girls discounts and free products in return for exposure on their pages. If you wish for your page to attract more potential customers and to help you achieve more sales and traffic on your website, you should make sure that you post on Instagram as frequently as you can. While there are many factors that play an important role such as the time and day you post, it is a good idea to try and post something on a daily basis.In general, there are certain times which can really help you get more likes and attract more attention to your posts. 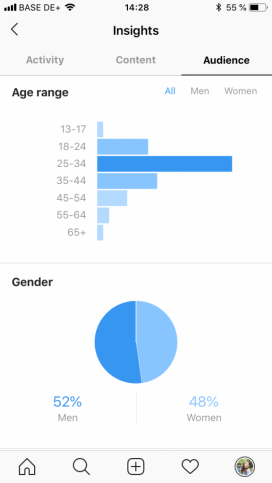 There are plenty of apps which can help you gather statistics (Buffer, for example) and data based on what your followers find the most interesting and when they are the most active. On average, studies have shown that depending on the day, there are better and worse times for posting. For example, Sunday’s peak time is at 5 pm while on Mondays it is better to publish anywhere between 7 and 10 pm. Even if you don’t have a lot of time on your hands, Instagram stories are a great way of interacting with your audience and showing them that your brand is run by real people. Instagram stories don’t need a lot of preparation and they can be anything from a selfie to a picture from your office space. 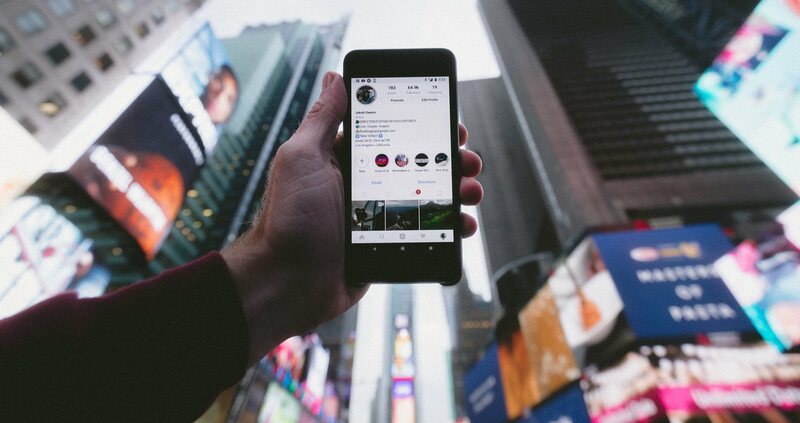 Instagram stories might disappear after 24 hours but you can actually keep them on your profile for as long as you wish by adding them to your ‘Highlights’. This way, they will be the very first thing your new followers will see when they visit your page and get informed about all new offers and happenings. Text: Bridgette Hernandez is a Master in Anthropology who is interested in writing and planning to publish her own book in the nearest future. She finished her study last year but is already a true expert when it comes to presenting text in a creative and understandable manner. Bridgette is a regular contributor and writer for both IsAccurate. The texts she writes are always informative, based on qualitative research but nevertheless pleasant to read. Here at Printsome, we’ve always supported creative endeavours which is why we’re proud to announce our brand new Print on demand in the UK service. Thanks to our five years of experience in the apparel-printing industry, we were able to design a platform catered towards the needs of artists and designers who want to start their own T-shirt line. Printsome’s T-shirt fulfillment service has no minimum orders and can print any design with no colour limitations. Use our Shopify T-shirt fulfillment app! From the moment you connect your online shop (like Shopify) with our platform, anyone can buy one of your designs. <strong>We deliver all over the UK, Europe and the rest of the world. T-shirt Drop shipping has never been this easy. Why worry about inventory or logistics when we can take care of that? We deal with the boring stuff so you have more time to do what you love. To find out more, simply visit our brand new webiste.